The information in this article was obtained during interviews with Hung I-Mien in September 1992 and March 1993 and with Hung I-Hsiang and his sons Hung Tse-Han and Hung Tse-Pei in March 1993. Thanks to Bill Tucker for translating these interviews. Although Chang Chun-Feng had literally hundreds of students, the two who are probably the best known are two of the Hung brothers, Hung I-Mien and Hung I-Hsiang. In part this is due to the attention they have received in various books, magazines, and television documentaries, however, they were also among Chang's ten original students in Taiwan, studied with him longer than most, attained high levels of skill, and continued teaching the arts for many years. So, it is natural that their names would have become well known in martial arts circles. The Hungs came from a wealthy Taiwanese family who originally made their money in the candle making business. This business later expanded to include incense, oils, and fireworks. Because the family was well-off, they worried about thieves and so the Hung's father hired a Shaolin master from the mainland to teach them martial arts so that they could protect themselves and the family business. The Hung's father and the eldest son were the first to study the Shaolin art. Although the other four Hung brothers received varying degrees of Shaolin training, the three middle brothers developed their martial arts skill while studying with Chang Chun-Feng. There were five Hung brothers all together, however, only three of them, Hung I-Wen, Hung I-Mien, and Hung I-Hsiang, studied with Chang. Hung I-Mien, who is currently 73 years old, was the middle Hung brother. Four years younger than Hung I-Wen and five years older than Hung I-Hsiang, Hung I-Mien was at the right age at the wrong time and was drafted into the Japanese Army during World War II (around 1940). Although the Hung's father and eldest brother had started studying Shaolin before Hung I-Mien was drafted, he had not been very interested in studying martial arts and therefore his first exposure to combat arts was bayonet training in the Army. Every morning the soldiers would wake up and practice basic bayonet thrusting techniques. Although Hung I-Mien received this training over fifty years ago, he still loves to demonstrate this skill. During each of our two visits with him, when the topic of his training in the Army came up he went into a back room and came out with two wooden Japanese style swords and had the translator attack him. He dodged and blocked the attacks as if he had been continuously studying the bayonet drills all his life. 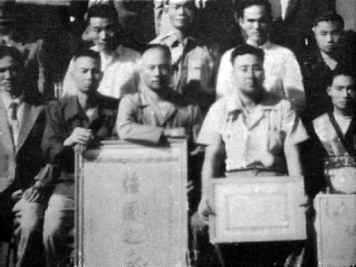 The three Hung Brothers who studied with Chang Chun-Feng are shown here togeter in 1957. 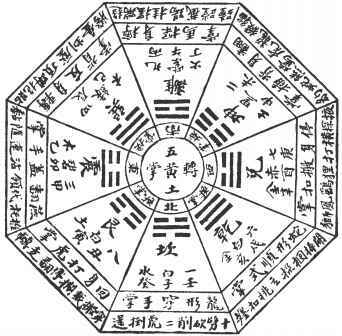 Hung I-Wen (the eldest of the three) is in the middle, Hung I-Hsiang is on his left and Hung I-Mien is on his right. a hospital ship, however, the Americans stopped the ship to investigate. When they found soldiers, the Americans captured the ship and took it and its passengers to Australia. Hung and his unit were held as prisoners in Australia for 2 or 3 months. At the end of the war they were released and sent back to Taiwan. All together Hung I-Mien had spent five years in the Japanese Army. He was 26 when he returned home in 1945.